The music called the blues isn’t dead because people still get the blues, a condition that comes from various states of being that are not conducive to broad smiles and sprite pop songs. Racism, sexism, homophobia, poverty, love problems, crime, economic oppression, organic states of mental instability, life seems a punishment to millions, a punishment mostly of our own making, the sad fact of human history that we create our own woes. The truth is about speaking the truth to these matters, testifying from one’s own experience and critiquing the cases and causes of the accumulated woe in terms blunt, specific, unhindered by apologies or finessed blather. Bluesman Tomas Doncker, a veteran guitarist/singer, and songwriter who’s been developed a diversified resume with collaborations with Yoko Ono, Ivan Neville, Bonnie Raitt, Bill Laswell and Pulitzer Prize-winning poet Yusef Komunyakaa, brings us The Mess We Made , a pungent and thrilling diagnosing of the current situation that reminds us, to paraphrase Ezra Pound, that blues is news that stays news. The Mess We Made is a contemporary blues album, far beyond the expected twelve and sixteen bar idiom of more traditional form that has become sadly parodied, if unintentionally, but a generation of younger musicians. 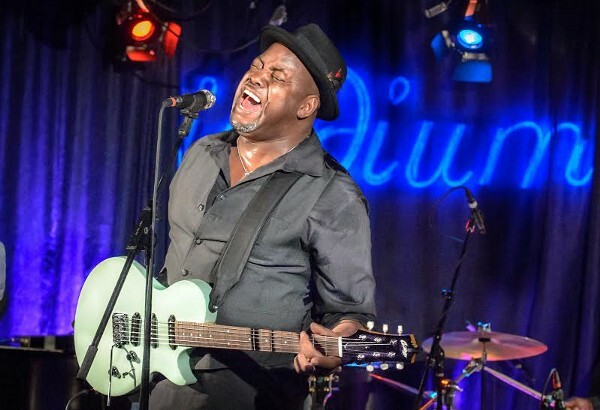 Doncker has an expansive palate the draws from, generous portions of New Orleans stride, electric-Motown funk ala the Temptations (“Cloud Nine”), the ethereal rhythm and blues musings and murmurings of Curtis Mayfield (“Freddie’s Dead”). “Church Burning Down”, a hyper funky testimony that features the superb rhythm section cooking on a red-hot foundation for Doncker’s ire, an angry lament that in the face of turmoil, strife, oppression, the cold murder of members of the community, the Church he worships at and the churches of other faiths nominally sharing the same spiritual beliefs and tenets, cannot come together and move their communities toward a common goal of making daily life better, decent. There is conspicuous common cause for religious leaders to live up their professed beliefs and work hard for a better community where neighbors aren’t preying on one another, but human vanity resists the commitment and what results is institutionalized indifference to the problems, an indifference that will result in the church being consumed by the troubles they ignore. The title song, “The Mess We Made”, reflects on the irony of humans acting increasingly in corrosive bad faith through the kinds of digital aids that have promised consumers the means to connect with hundreds of others, acquire scores of information in an instant and achieve a glimpse of the real world only to find themselves isolated, fearful, angry, paranoid, depressed as a long-term result. Verse three is a sad admission of powerlessness to anyone who harbors aching regrets over ignoring relationships and opportunities in life as it’s actually lived, preferring the illusion of being the center of the universe while in the prison social makes possible. The Mess We Made is a confident testimony from one musician and citizen who wants himself to rise above the routine mendacity that depreciates both oppressed and oppressor, but also that insists that we need to free ourselves from our devices, to look up from the monitors and to walk outside to see the world that unveils itself. This not, though, an album of lectures, rants or scorn heaped on you at length. It’s a musically rich field of styles here, extending the blues into the contemporary vernacular but never losing the grit, the grease, the percolating counterpoints and variously rocking counters that make this testament alluring, fascinating, and, yes, danceable. Bear in mind the instrumental chops of the musicians, with Doncker’s guitar work reflecting both the slash and sonic wherewithal of Hendrix and Stevie Ray Vaughn. He has chops, yes, but they are in service to his fine songwriting.